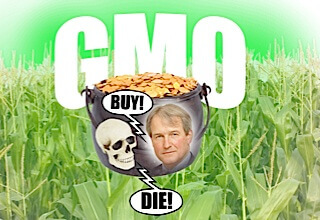 Speaking Tuesday in Pretoria, South Africa, former UK environment secretary Owen Paterson accused the European Union and Greenpeace of condemning millions of people in developing countries to economic dependency on aid, starvation and death by their refusal to accept the science behind genetically modified crops and other life saving advances in plant sciences. Owen denounced what he called the “green blob” of officials and gullible media that misrepresent the consensus science, likening Greenpeace to the Luddites who smashed textile machinery in the nineteenth century. He accused the EU of “neo-colonialism at its worst” by restricting food production within its own borders. Paterson said the world is on the cusp of a green revolution of the kind that fed a billion people in the 1960s and 1970s as the world’s population soared–but that revolution is threatened by well-meaning Westerners who he maintains are imposing their food “fetishes” on the developing world. Thank you, Doctor Obokoh for that kind introduction. It’s a great pleasure to be able to speak at the Annual South African agricultural biotechnology industry/ISAAA media conference. You are all doing so much important – indeed life-saving – work to bring the benefits of modern agricultural technology to this continent. It is a revolution, powered by cutting-edge science, that can drive economic development from the bottom up. I’m talking about authentic, indigenous growth – the only kind that really takes root… that empowers individuals … that breaks the cycle of aid and dependency and can make every nation on this Earth a strong, competitive player in global economic growth. No place on Earth holds more promise in this respect than Africa.1 With its vast, and as yet underutilized resources of land, soil, water and sun, Africa is wonderfully situated to match or exceed the success of Brazil – a nation that agricultural development helped catapult into the front ranks of world trade – but it will only happen if African countries embrace farming systems based on modern technologies. Not since the original Luddites smashed cotton mill machinery in early 19th century England, have we seen such an organized, fanatical antagonism to progress and science. These enemies of the Green Revolution call themselves “progressive,” but their agenda could hardly be more backward-looking and regressive. I call them the “Green Blob” – a reference to a 1950s Sci-Fi movie starring Steve McQueen in which a blob-like alien attacks Earth and swallows everything in its path: the environmental pressure groups, renewable energy companies and some public officials who keep each other well supplied with lavish funds, scare stories and green tape. This tangled triangle of unelected busybodies claims to have the interest of the planet and the countryside at heart, but it is increasingly clear that it is focusing on the wrong issues and doing real harm while profiting handsomely. Neo-colonialism at its worst, Europe sits on some of the most fertile land on the planet, and yet imports food from the rest of the world which requires the equivalent of 35m hectares of farmland to produce. There are many impediments standing between the vision of agricultural progress and Africa, of course, but none is more pernicious than the Blob. It is supported by massive funding provided by the EU itself,2 as well as numerous church and humanitarian groups, and the well-meaning but misguided generosity of the privileged classes in Europe and elsewhere. It has undue influence in the media, government and international institutions. Unfortunately, few question either its credentials or motives. As you know, the International Service for the Acquisition of Agri-biotech Applications, ISAAA, has just come out with its latest report on the worldwide adoption of genetically modified crops. As before, it records a remarkable success story. GMO-versions of food staples like potato in the United States and eggplant in Bangladesh have been approved for planting. The United States continues to lead the way and saw a 5.5-fold increase in hectares of drought tolerant maize planted. Biotech continues to be the most rapidly adopted agricultural technology in history. 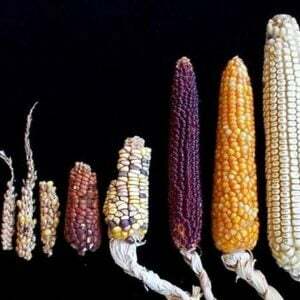 During the 19 years GMO crops have been commercialized, we have seen a more than 100-fold increase in the area planted. Farmers are famously risk-averse. They know that the misapplication of resources can spell the difference between a bumper harvest and total crop failure. That’s why it’s even more remarkable that nearly 100 per cent of all those farmers who plant biotech crops have yet to go back to the old ways.6 They continue to choose to plant biotech year after year because biotech plants work. It’s really that simple. 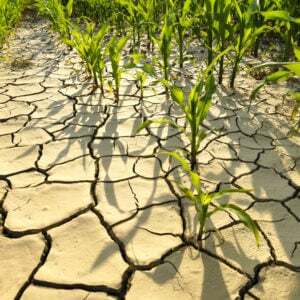 The drought-tolerant maize technology donated to Africa by Monsanto is expected to begin commercial planting in 2017. Within one season, Bt can transform the life of smallholder farmers, turning their farms into profit-making enterprises that allow them to send their children to school rather than out into the fields, and to buy their families enough to eat – and of course with better nutrition comes better health. Even where farmers have voted overwhelmingly for a choice of GM technology and the benefits have been tested and demonstrated in numerous studies, the Green Blob has been tireless in myth making and misinformation. Take the allegations of Indian farmer suicides. Anti-GM green groups stated that the introduction of GM crops had brought about an increase of suicides among India’s farmers. It is imperative in the case of such tragedy to be accurate about causes if you are to help people driven to suicide. Myth #1 is their recurrent implication that farmers are stupid, fooled by biotech companies into paying more for GMO seeds when they would be far better off without them. Well, I tend to think farmers have a pretty good understanding of their bottom line, and I can’t imagine any farmer – in my own country or in the developing world – spending one extra dollar, euro, pound, or rand that he absolutely didn’t have to spend. In other words, modern agriculture – with its GMOs, nitrogen fertilizer and modern pesticides – has probably done more to save natural habitat, support biodiversity, and save endangered species than all the other environmental, NGO and UN conservation activities put together. And the most widely used herbicide in no-till – the glyphosate that NGOs so love to criticize – is enormously healthier for the environment and the humans and animals that live there than the chemistries it replaced. While glyphosate is indeed bad for weeds, its toxicity to animals is less than – not equivalent, but significantly less than – vinegar.24 Something to think about next time you dress your salad. It’s a claim they persist in despite the universal opinion of every independent scientific institution globally, (including the European Commission!) that GMOs are as safe as any other food,26 and the fact that people in the United States have been consuming diets replete with GMOs for over 15 years now without one documented adverse health effect – not so much as a sniffle or a tummy ache.27 Even in Europe, overwhelmingly all the animal products produced – meat, milk, cheese, eggs – come from animals fed on imported GM maize and GM soya meal. Most European farmers have, for the last almost two decades, not been permitted to grow these crops – with the one exception of a single strain of maize.28 But European livestock farmers import millions of tons annually – without these imports currently the European livestock market would have collapsed. In the industrialized nations, organic growers have long sprayed with spores of the whole Bt bacterium to control for insects. This organism occurs naturally in the soil, after all, and has proved safe for mammals and humans. But when scientists engineered a plant that produced one protein found in the Bt cells as a part of its built-in defenses, the Blob fought tooth and nail to deprive the developed world of its benefits. Once again, the myth is turned on its head: it’s not GMOs, but the anti-GMO Green Blob that is the real danger to human health. Only ten days ago, I was in Canberra and saw real progress on oilseed crops that will provide a sustainable source of long chain omega-3 fatty acids providing better nutrition to humans and farmed fish. 42,43 This could stop the obscenity of feeding huge numbers of farmed fish with wild fish. 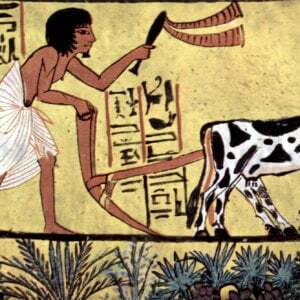 Few people know that the first biotechnology product approved for food was rennet, an enzyme used to make cheese. Today, 90 per cent of the cheeses we eat use GMO rennet because it’s safer and more effective.45 GMO-enzymes are routinely used in the production of bread, wine and beer. Perhaps the most promising development, however, is biofortification, especially for the developing world, where so many lack the nutrients essential for health and well-being. Many of those millions of lives could have been saved if Golden Rice had been available in their diet, and it could have been already for several years, but for the on-going opposition of well-financed anti-GMO activist groups and their ceaseless campaign to frighten people and pressure governments to keep Golden Rice off the market. The leader of that opposition, with a combined global war chest estimated to exceed US $500 million, has been Greenpeace, with its combination of highly sophisticated PR and un-scientific scaremongering. Greenpeace originally claimed Golden Rice wouldn’t work, but once its efficacy had been proven beyond a shadow of a doubt, they switched to saying that the poor should simply buy vitamin supplements and eat fresh vegetables instead50 – as if families living on less than $2 a day can afford such luxuries. But Greenpeace doesn’t content itself with mere PR. Trocaire, the official development agency of the Catholic Church in Ireland, which receives funding from the Irish, UK and EU governments;56It should be stressed that MASIPAG is just one of a proliferating network of anti- GMO groups and assorted activists that are operating in the developing world, often with NGO and EU support. Where also are the UN organisations WHO, FAO, UNICEF – all with nutritional improvement and development mandates? 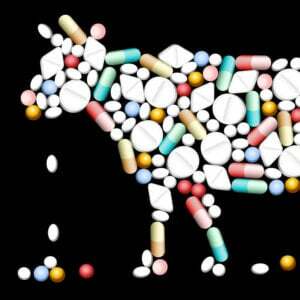 They have recognized the scourge of vitamin A deficiency as a very major – and cheap to control – problem for the last 25 years. Undoubtedly current interventions have saved millions of lives. But VAD (Vitamin A Deficiency) induced preventable deaths continue, and now, as a result of Golden Rice, the half of the world where rice is the staple could benefit from a free nutritional trait. But, cowed by activist polemic, these huge and capable institutions have chosen not to believe in science. Of course, the greatest offender of all is the European Union itself, which in a twisted version of neo-colonialism has imposed its affluent organic affectations and anti-scientific policies on Africa. But we shouldn’t fool ourselves into thinking that one reform will solve the problem. The EU’s retreat from science has become more like a rout. Just last November, the incoming president, Jean-Claude Juncker, refused to renew the contract for the professor of cell biology, Anne Glover, who had been so ably filling the role of the Commission President’s scientific advisor. It is emblematic of Europe today – once the birthplace of modern science and home to many of its greatest achievements – that the anti-science know-nothings won the day. And to think that the Lisbon treaty was meant to ensure that Europe developed a knowledge-based economy! No chance when scientific evidence is only merited with the same influence as public opinion, which as we have seen, is so easily influenced by political activists. The European retreat from science is often dressed up as the precautionary principle, which has the advantage of sounding “sciency,” but is in fact neither science-based nor by any legitimate definition a “principle.” It’s more like an impulse, or reflex, as clichéd and inept when it comes to the serious work of regulation as saying “better safe than sorry.” No one can really define it adequately. The best its advocates can do is say that if something could possibly cause harm, ban it. Just recently this scandal developed further – some have called it Beegate – when a blogger in Brussels by the name of David Zaruck uncovered a memo that had mistakenly been left on the web by one of the scientists who was most vocal in pushing for a ban. That memo – the minutes of a meeting held back in 2010 – detailed in their own words how he and other leading scientists working for the EU-funded “Task Force” on neonics conspired to manufacture studies to support a ban.69 Perhaps one should put the word “scientists” here in quotes. Deciding on the outcome of your research before you even conduct it is not how science is supposed to be done. But we have apparently entered a brave new world in the EU where everything is backward. Many centuries ago, science pulled the European continent out of the Dark Ages and established a whole new concept – one of on-going human progress. In our own time, the extraordinary science promoted by one-man, Norman Borlaug, accelerated that progress in the plant sciences just in time to save over a billion people from mass starvation in the 1960s and 70s. That was called the Green Revolution. We stand today at the beginning of a second Green Revolution – a period of extraordinary breakthroughs that can do the job if we let them. Myth versus fact; Green Blob versus Green Revolution. There is literally no challenge today that is more important. I commend African Nations for showing Europe the way.